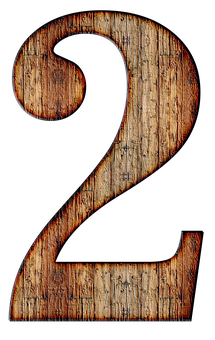 It’s Our Second ‘Blog-iversary’! We are TWO! Today is a very big deal for Jessica’s Reading Room: We are TWO years old today! It’s hard to believe that when I started this that I would still be doing it and having fun! ALL my free time is dedicated to this: BUT as long as I enjoy it, that is what matters! It’s all about the book love!!!! I started my blog for me first and it though may not be a blog with a huge following (which I am fine with ) I still do have people looking at what I do and this is great! It’s crazy to think that people actually read about what I have to say! Kim has been a great co-reviewer and she has brought her own style to the site. She does her monthly video summaries and occasionally other video reviews. I like how we both read different genres, so we can cover a wider variety of books for you guys. The “double reviews” can be great as you get usually two different opinions/viewpoints on the book read. Facebook: It is a companion to this site and Kim and I use it as a way to get to know us more personally. If you have not given us a ‘like’ you should! Over the course of this month, Jessica’s Reading Room Facebook page has been doing some giveaways. But today we have the big ones: We will be having 2 giveaways! One for the US folks, the other for just the international folks!! A used Kindle Fire WITH a case! Specs will be mentioned below. This is a former demo model that my husband had. He used it for a while, but not anymore and we thought we would pass on to someone else! **Comes with leather case, SlimPort to HDMI cable for connecting to a TV (watch Amazon Prime video and play games on your TV! ), USB cable, and charger. The giveaway runs from today through 7/23 at midnight Eastern! Ok International Folks: It’s your turn! You can enter to win up to $20 in books from the Book Depository! **Book Depository MUST deliver to your country for you to be eligible. If you are not sure if they deliver to your country, check here. Thank so much to everyone who has supported Kim and I through this journey. Whether you have been here from the beginning or are just joining in on the fun! Let’s hope we keep Jessica’s Reading Room going for many more years to come! Enter the giveaway and Good Luck ! !